A Nigerian presenter has won the prestigious BBC World News Komla Dumor Award. 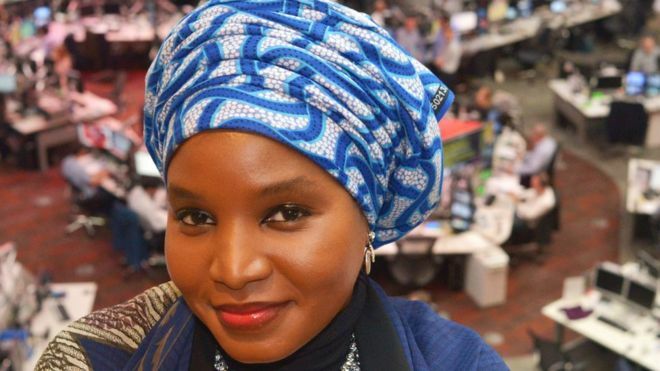 A journalist from north-eastern Nigeria has won the third BBC World News Komla Dumor Award. Amina Yuguda is a news presenter on local network Gotel Television, where she has reported on high-profile news stories, including the Boko Haram insurgency. She will start a three-month placement at the BBC in London in September. The award was created to honour Komla Dumor, a presenter for BBC World News, who died suddenly aged 41 in 2014. Ms Yuguda said her win was a "huge honour".